One of the most pro-active companies in the UK working to protect intellectual property and combat counterfeit fraud. Intellectual property rights investigations and anti-counterfeiting fall within this category. Surelock is an active member of the Anti-Counterfeiting Group and one of the most pro-active companies in the UK doing this type of work. This statement is justified by Surelock’s consistent performance over many years, due largely to the unique expertise it has developed in the investigation and protection of intellectual property rights, including the grey market, counterfeiting, parallel trading and trade mark / copyright infringements. Our team of experienced consultants, with knowledge of IPR law, is trained to examine our clients’ merchandise. We carry out covert surveillance of the market place and proactive investigations identifying those selling, importing and manufacturing our clients’ goods. We are not just a reactive organisation. We work collectively for a number of clients in order to keep costs to a minimum by jointly taking actions against the counterfeiters and their traders, aiming to put them out of business by seizing all their stock and assisting with prosecutions. Surelock has featured on the BBC television programme Fake Britain. 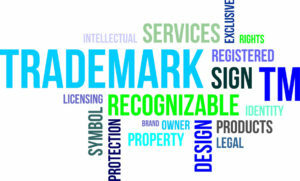 We have a dedicated team who deal with internet / social media who have taken down numerous bogus web sites and many thousands of online marketplace listings for trade mark and copyright infringements. Recent annual seizures have exceeded £18m of counterfeit clothing and merchandise jointly on behalf of our clients. We have conducted covert investigations throughout the world and provided the judicial authorities with our evidence thus making their task easier in taking legal action against these perpetrators. Our methods in evidence gathering have been highly commended by the courts. In the United Kingdom, we have developed a close relationship with the City of London Police Intellectual Property Crime Unit (PIPCU), Trading Standards Service and Customs. We also act as a point of contact for these authorities should they seize counterfeits of our clients’ merchandise, making authentication examinations and providing witness statements. NEED ADVICE ON PROTECTING YOUR BRAND?